The Hawaiian term ho‘āla hou means to awaken anew. Hosted by artist and philosopher Sam Ka‘ai, this program looks at the re-emergence of a Pacific way of thinking, of seeking self-sufficiency, and of preserving the cultural heritage of the first people of Hawai‘i. 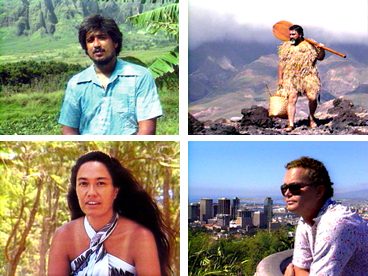 Eric Enos, Haunani-Kay Trask, Angel Pilago, Ramsey Pederson and Charley Poouahi.